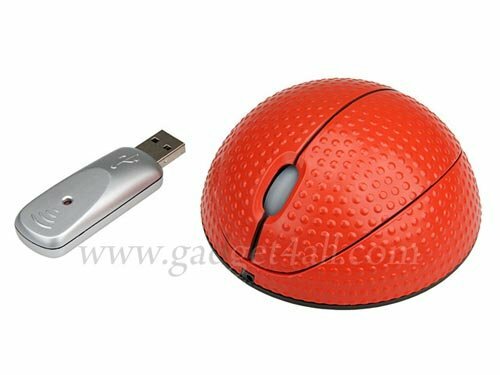 Check out this fun USB wireless mouse shaped like a basketball. This fun basketball mouse features a resolution of 800 dpi, and can be used up to 914m away from the receiver. It is compatible with USB 2.0, and has built in rechargeable Ni-MH batteries. It measures 92 x 92 x 40mm. This fun USB wireless basketball mouse is available to buy online for $22 from Gadget4all.